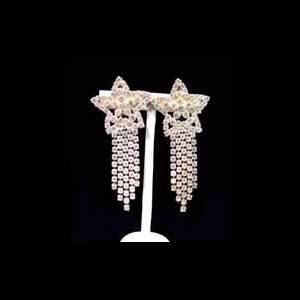 Springfield earrings. 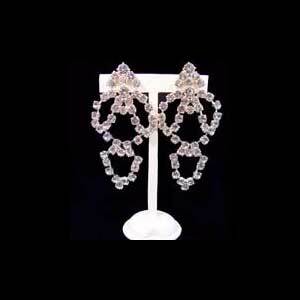 These earrings are made from diamante chain set with 3mm crystal stones. 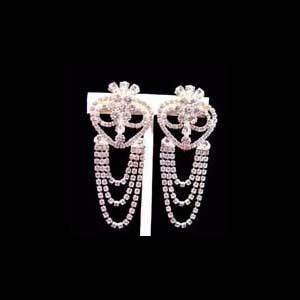 The top of the earring has three pear shaped crystal stones. 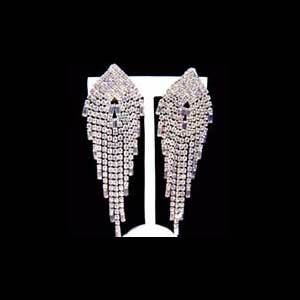 The drop is made of three diamante chain loops. 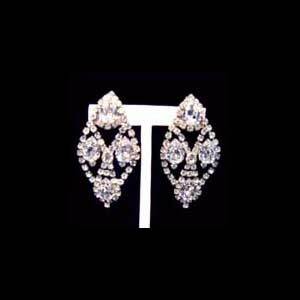 The earrings are fitted with a clip for fastening onto the ear. 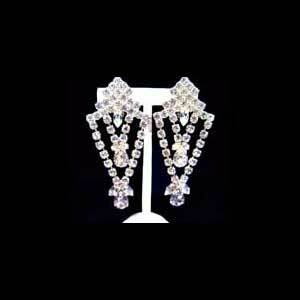 Drop of earring is 7cm. 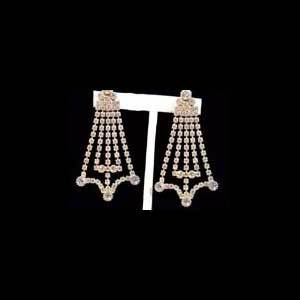 Width of earring is 5.5cm.